Let me clarify. 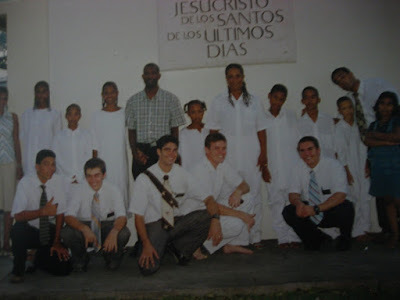 Tyler actually was not my missionary. I met him three months after he got home. 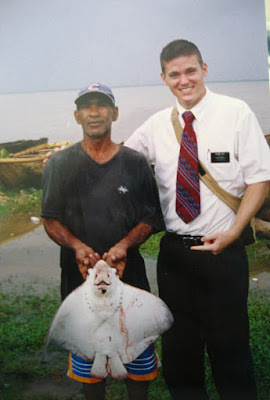 But he was such a great missionary that I thought I would share some of these pictures. I think they're priceless. Look how cute my Tyler is. 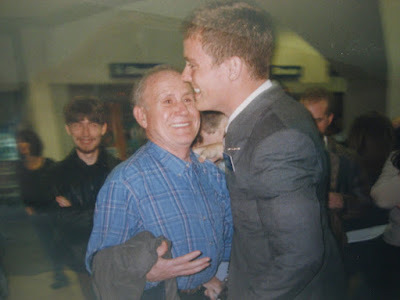 He was such a good, happy missionary. He served in the Dominican Republic. He lights up when he talked about his mission. You can ask him about it and he'll tell you he loved it. 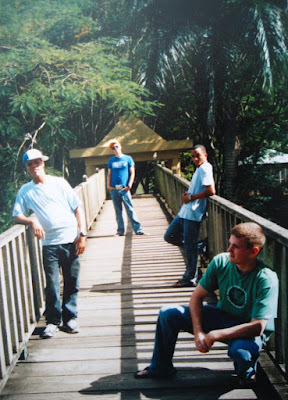 I hope we get to go back someday to visit and meet some of the people he taught and baptized. He looks so young in this picture. Cute little 19-year old Tyler. I think the glasses that Tyler's wearing belong to that little lady. She really makes Tyler, and his companion, look like giants! I think Tyler baptized these people. This picture was taken at the airport when his family greeted him home. It's not the best quality picture, but I love how happy Tyler looks. I'm sure he was ecstatic to see his family, whom he LOVES! 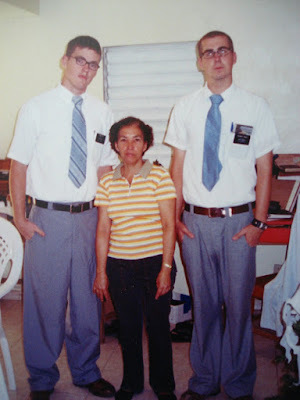 That's my cute missionary Tyler. I love hearing about all his mission stories, and really seeing how happy he gets when he talks about his mission. It's an experience that I know he would not have traded for the world. What in the world is that man holding in the first picture. Love this. Very cute. I think partly why he looked so young is because he was wasting away to skin and bones down there in the DR.